Morning Conversational: What’s Matthew Baldwin’s Biggest Obstacle In Return To Health? Today’s Topic: What’s Matthew Baldwin’s Biggest Obstacle In Return To Health? 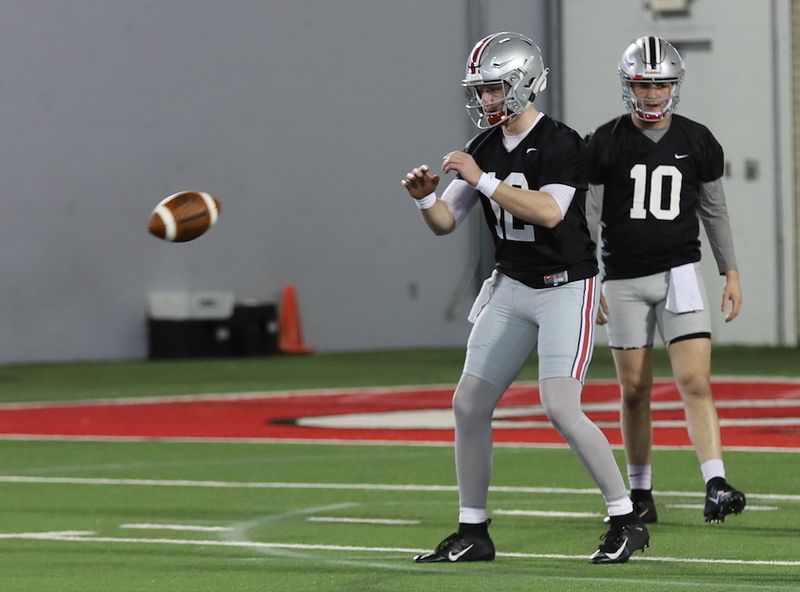 One year ago at this time, Ohio State quarterback Matthew Baldwin was a true freshman who was about five months removed from an ACL tear. As such, he didn’t do much actual practicing. Baldwin did as much as he could last spring, but his time was mostly spent doing things that injured players get to do. When the weather doesn’t permit, players are kept busy on stationary bikes, or working out in a corner, or simply walking around the practice field. There is also position work. Even if it can’t be physical, it can still be mental. Baldwin knows the offense now and by about the halfway portion of last season, he could have played if the Buckeyes needed him to. Ryan Day even wanted to get him some snaps, but the opportunity never really arose. Now, some six months beyond the point where Baldwin was cleared to play, he’s back “pretty much” to normal. In fact, regaining the confidence that with every step or cut or plant his knee will hold up has been the biggest obstacle in his return. But steps are being taken — literally — to build that confidence back to where it needs to be.